Don’t go chasing discount waterfalls. You’ve been kidnapped by an Amazon tribe, poisoned, locked in a bamboo prison, and left to die! You’ll need to break out, figure out how to make an antidote, and escape with it before your captors return! Unfortunately, this primitive tribe has gotten ahold of an almost obscene amount of modern day locks, which they’ve slapped on every available surface! Obviously, you’ve got your work cut out for you here. Our second room at Escape Tactic started with a heart attack for any seasoned enthusiast. We were going to be paired with a group that were being allowed to bring a baby into the room. As someone who has had ups and downs with strangers joining our party, the prospect of an infant in what is usually a high energy, possibly stressful environment is not a great one. Most venues require a full buyout of the room if children are involved, so it was a huge surprise to see this. Even though there were very few original puzzles included in Amazon Survival, it is sometimes fun to be able to recognize one of the “greatest hits” puzzles within a room. One that you’ve had fun with and completed before, and enjoy the process of solving. There were several of those moments here. The set is also very nice, and while set alone cannot deliver a sense of immersion, it does a good job of setting the tone. Also, customer service was handled well, as expanded on below. Obviously, as previously stated, we weren’t exactly thrilled to see a baby joining us for this room. We were incredibly lucky, however, as it was extremely quiet throughout the experience. The fact that you can be paired with little ones, though, is a definite knock against Escape Tactic on the whole. We also ran up against two separate locks that were not reset, one of which we noticed while solving the attached puzzle, and the other which was opened by a member of the other group, so we never found out what puzzle was supposed to open it. Another puzzle failed to trigger due to the looseness of one of its components, requiring a fair bit of jiggling to get everything back into place. Our Game Master was also missing in action on the couple occasions we needed a hint, leading us to have to waste time trying to get her attention. Luckily, we were given refunds for this subpar experience, so thumbs up to the customer service here, at the very least! One initial puzzle that really set the tone for this unfortunately unenjoyable room was a physical interaction that even when it was “completed” would not trigger. The interaction itself was very hard to identify, and required an unreasonable amount of dexterity. Our GM had to come into the room to move us forward, which from her reaction, seemed like something that happened often. Several puzzles within this room are highly ambiguous and require huge leaps of logic to solve, lending a large amount of frustration and very little satisfaction to the experience. In fact, one puzzle is just a repeat of a previous puzzle, with a small change and less of an ability to retain the answer in a meaningful way. As with King Tut’s Curse, the room itself was a very early days escape room, boasting very little in the way of technology, and quite a few modern locks, many types of which are repeated several times throughout the room. 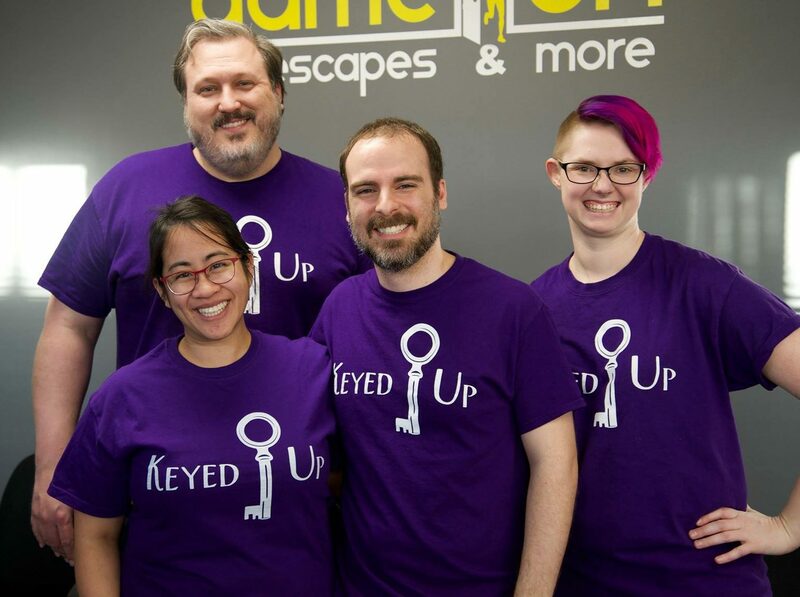 It is clear that Escape Tactic’s slogan of “Escape Rooms Remastered” might need to be walked back a little bit. Amazon Survival is a nice looking set, but beyond that, was overall a major disappointment. The experience itself really stumbles quite a bit, and the room’s décor just cant carry the puzzling experience itself. I would think new players might get more out of it than we did, due to most of the good puzzles coming from the “been there, done that” category, but enthusiasts should be advised that there’s not much to like here, especially with so many better options in Charlotte. You can get kidnapped in the Amazon here.